Last year, my family had season passes to six flags. Each time I would go, I would think about a different ride that I remembered or had heard about. I always felt as if those rides had only recently been removed. So, I did some random research out of curiosity to find out when my favorite Six Flags over Texas rides were removed. It made me feel old. The Spindletop was removed in 1989. The Spindletop was a ride that you would enter into a vertical tube and it would start spinning. Eventually, the floor would drop out and everyone (and everything would stick to the side). I fondly remember a guy emptying his pockets on the wall and seeing his wallet and cigarrette pack stick to the wall. Another favorite activity was to try and climb the wall so that you would fall when the ride stopped. Added in 1977, the Spinakker was a ride that would start out spinning horizontally and rise to spin vertically. Apparently, Linda Carter was there to sign autographs when it was opened. It was among the many “rite of passage” rides. As a child I was scared of it, but took a step towards manhood when I finally rode it. 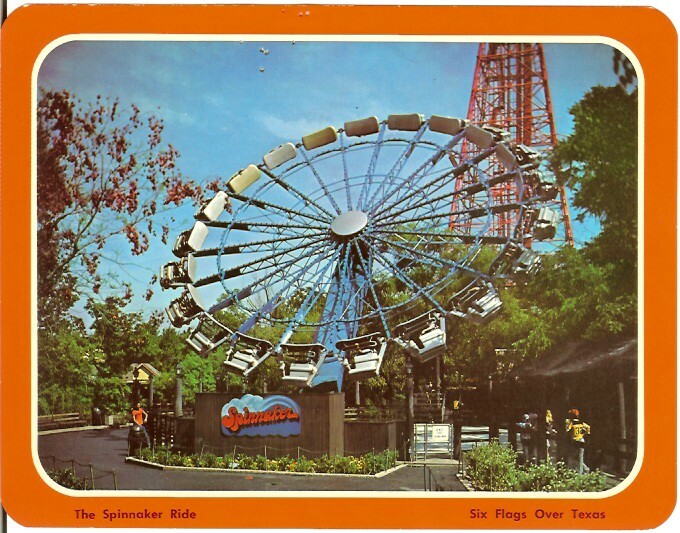 The Spinakker was moved to Fiesta Texas and renamed the Wagon Wheel. The Chevy show was a ride that wasn’t a ride. It was just a closed in pavilion that showed a movie from the 1st person perspective. It would make you dizzy as you “rode” down the roller coaster or flew in a plane. It is also well rumored that older kids would make out there. All I know is that it offered air conditioning on a hot day. 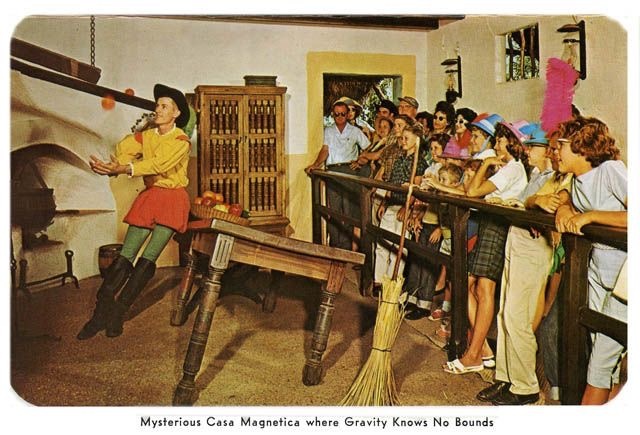 One of my favorite attractions was a tour through Casa Magnetica. It was a house that was one big optical (and every other sense) illusion. Fruit seemed to roll uphill and people stood sideways. This place facinated me. I don’t know exactly when this was closed. I assume the early 90’s or late 80’s. It was briefly reopened in 2011 for the 50th anniversary of Six Flags. There are several more memories, but those are the big ones I think of when I go to the park. ← My wife can preach!